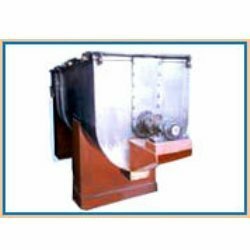 Our organization is involved in manufacturing and supplying a wide range of industrial products which includes Mixers. These are made using supreme quality raw materials which ensures its durability and high performance. Used in array of applications Mixing & Homogenizing bulk materials like Herbicides & Fertilizers, Foodstuffs, Pharmaceutical, Chemicals & Plastics, Pigments and Dyes & Dye Intermediates, these are also available with Vacuum Construction, Jacket or Limpet Coil for heating / Cooling, Collection, Charging Containers, Spray For Anti - Dusting / Additives, CIP Cleaning Spray System.